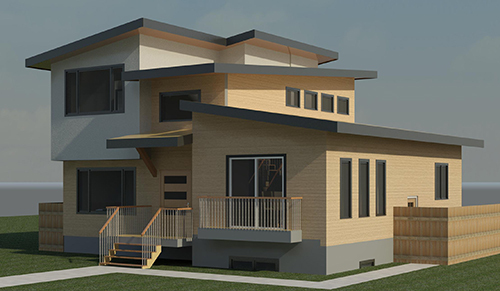 Custom Home Design by Ergo Design Studio Inc.
We design simple, elegant home plans. Our straight-forward process brings your dream home to life. And our energy efficient techniques will save you money. We like to think it’s smart home design. We hope you do too. Feel free to call or E-mail to get an idea of what to expect when building your own home. Detailed interior and exterior 3D renderings can help you personalize your home with confidence. Our home plans let you save energy, breathe healthy air, and lower your costs. Chalet style… no big deal.